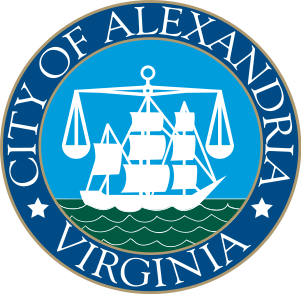 Alexandria police have arrested a ten-year-old boy in Alexandria for showing a toy gun to fellow students on a school bus. The boy was charged with “brandishing a weapon” by police in yet another absurd case with teachers and police act robotically without judgment or logic. The ten-year-old boy showed the toy gun to a friend on a bus on Monday and was called into a meeting on Tuesday morning. Police officers found the toy in his backpack. The gun was a replica with an orange tip that could not be fired. He was charged as a juvenile with a misdemeanor. There is no question that the school officials acted appropriately in calling the boy to the office and even calling officers. However, this is a ten-year-old kid who did a stupid thing. That is the modus operandi of ten-year-old kids. Yet, as discussed in earlier blogs, we have now turned over disciplinary issues to the criminal justice system in a criminalization of our schools. I am also concerned about the radical disparity in treatment between schools. This school is near my old house. At the elementary school in my neighborhood, a boy brought an actual switch blade knife to school and was showing it to friends. Because his mother was active in the PTA, it was brushed over and no significant action was taken. I happened to agree with the resolution of the case which was kept quiet. The boy made a mistake and learned a lesson. I did not see the need for him to be arrested. However, we have this disparity in reactions to these cases where some kids go to jail and others go home for a tongue lashing. My preference remains for school officials to return to dealing with kids as kids as opposed to miniature felons. DOES this MOTHER know that in order to BRANDISH a WEAPON it needs to be a REAL weapon???? THIS is insane! WHY are they doing this to a child??? Where is the support for this family? People need to be upset about this. I am upset about this too. That kid is traumatized for doing nothing bad at all. People did the same thing to Jesus too. One the kid didn’t break anyway laws under VA State. The law you give, well you left out section C which defines a firearm. Hah! We had Sekiden gun battles in the hallways between classes!! I never bought the pellets, silvery aluminum powder coated diatomite balls, as I scooped them up by the handfuls from the hallway floors, where they were crunched underfoot. Teachers confiscated them but they were so cheap that we always had more. Even in grade school many of the boys, and a few of the girls, carried “Boy Scout” jackknives. By the end of the school year the teachers’ locked desk drawers were full of them, which were given back on the last day of school. Today even a rumor that a kid has one of these items results in a lockdown and the campus swarmed by SWAT guys brandishing machine guns. Why, for a kid to point his finger gets him expelled. Luke, isn’t that just astounding? I was talking to someone about that the other day. And what about the little boy who threw an IMAGINARY grenade into an IMAGINARY box? It’s just insane! but those chop em up video games are just GREAT for their little imaginations, aren’t they? I never in my life thought I’d see the day when kids couldn’t play cops and robbers! The orange tip on the toy gun undermines the claim that the toy did “reasonably induce fear” because even a child knows it’s a toy. Thus, no fear was present…and no crime. This case sets a terrible precedent for the children in Alexandria, and it cannot be allowed to stand. Shame on all involved. I hope they make this right. Immediately. People are offending the innocence of a child. They are in confusion as to what they did wrong which is nothing. The devil in a person bans this, and bans that having nothing good to give. The devil was banned from Gods presence . Banning is the only thing on the devils mind. Hence it is the devil in the soul of a person compulsively wanting to Ban, ban, ban, ban, ban, ban.taking another breathe wanting to do the same thing over, and over again. Showing a toy gun does not seem like brandishing. Pointing it for the purpose of intimidation does. What is the purpose of having a harsher penalty near a school for this particular statute? You are so correct Johnathan. If the legislation in Virginia is as it is and interpreted as it is the why on earth are any toy fire arms permitted to be sold in the State. There is a major legislative inconsistency here. The police do not act with reason or Logic because the devil has no reason or logic. The devil is the master of the police force. Police serve the devil. Their actions show it. What a bunch of morons. I would hope any jury of any intelligence would practice jury nullification. Why do we need so many cops if these are the kind of things they are involved in? I want background checks on all gun sales to stop violent felons from buying guns. I don’t care about a 10 year old kid with an obvious toy gun. If they enforced this, I would have been charged with a crime as a kid. How stupid. Where was the reasonable fear that is mentioned in the statute? It clearly did not exist with a bunch of children playing with a toy gun. I don’t see what is wrong with children playing with toy guns. Next thing you will see is a ban on toy guns because some child is playing with one in public and some chicken little is in fear the child is shooting a handgun. You’re looking for what, logic? Decent treatment of children? Humanity? Intelligence? Official rationality? Where are you looking? Quick: Cross one of the borders! So the kid whose mom was active in the PTA only got a tongue-lashing? Sounds like the implementation of the justice system into schools is complete. It’s not the “crime” that determines the punishment, but who you know. I have to confess that I brandished almost daily back in the ’50s. If I voluntarily turn myself in, do you think I can cut a decent plea bargain? Do they have televisions in that town? If so, start confiscation now. There are many guns and shootings depicted on television for children to see. Brought to you by Tide, Sears Roebuck, Mercedes Benz, and all the other advertisers. Go to the toy store and take videos of what they sell. Take that video to the kids trial and subpoena in the owner of the Mall where the store is located. Depose the prosecutor and inquire if her kid has a toy gun. If she has a real one. If her husband has one or a fake one. Well, dont go too far on that one. Kids: wake up and start your Occupy Pigsty demonstrations now. Violating the law of identity. Either it is a gun or it is not a gun. Bad or no thought all the way around on this one. If I was in school now…. Well… I wouldn’t be….. I get the feeling its time to sell by Nerf stock…. I can’t WAIT for the one where the little boy PRETENDED he had a hand grenade and blew up bad people to save the world. Can’t remember how old he was; five, six? These people are insane and need to be locked away. Anyone who can’t let a child be a child should NOT be in charge in schools. People who can’t tell the difference between make believe and toys, and the real thing, need to be shut away from real people. This should not be allowed to continue. This is going to start really scarring our children.